Cebek TL-101 is a single channel RF remote control receiver with relay output. It will recognise the signal sent from any Group 1 Cebek transmitter. 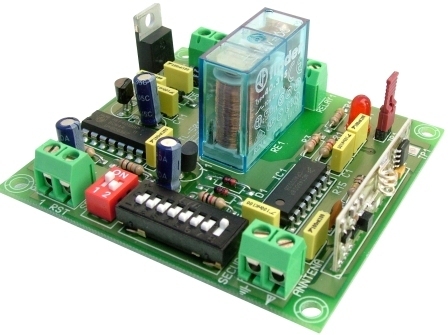 It verifies the security code you have selected (13,122 combinations) and operates the relay. The relay on the TL-101 can be configured with a momentary or latching action. It has PCB mounted DIL switches to select the security code.